Paying for Starbucks coffee. Photo credit: Tencent. In China, tech giants tend to delineate their influence around certain industries – Alibaba has made ecommerce its calling, while Tencent owns social and gaming. But as their empires continue to expand, overlap is inevitable. Mobile payments is one of those areas of contention. It’s a lucrative and high-growth market, growing more than 200 percent year-on-year during the fourth quarter of 2016, when it hit US$186 billion. Mobile payments are also a key access point to consumer data, especially in China, where more than half of online sales happen through a smartphone. Ant Financial, Alibaba’s financial affiliate, has long dominated the market with Alipay, its mobile wallet. Launched in 2009 as one of the earliest mobile payments solutions, Alipay owned about 80 percent of the market for five quarters straight, starting in the third quarter of 2013. But that stronghold is slowly slipping. WeChat Pay has become Alipay’s biggest competitor. “Because of WeChat’s traffic and social advantage, in these past two years, WeChat Pay has become Alipay’s biggest competitor,” Wang Pengbo, finance analyst at research firm Analysys, tells Tech in Asia. WeChat Pay, which launched in 2013, is the mobile wallet inside Chinese social messaging app WeChat. Last month, Analysys published a report on China’s mobile payment market for the fourth quarter of 2016. Alipay had a market share of 54.7 percent;Tenpay – which includes WeChat Pay – came in second with about 37 percent. And while Alipay saw higher transaction amounts – influencing its overall market share – Tenpay had almost double the number of active users. So how did WeChat Pay catch up? By doubling down on two key areas: social payments and offline retail. Exchanging red packets stuffed with cash is a tradition during Chinese New Year. Photo credit: razihusin / 123RF. If ecommerce is the backbone of Alipay, social interactions are the driving force behind payments on WeChat. In particular, WeChat Pay has capitalized on China’s tradition of gifting cash-filled red packets with tremendous success. After debuting its own virtual red packet, which lets users send up to US$29 to fellow WeChat friends, the mobile app saw around 16 million red packets exchanged during Chinese New Year’s Eve in 2014, according to Tencent. A year later, that number jumped to 1 billion. 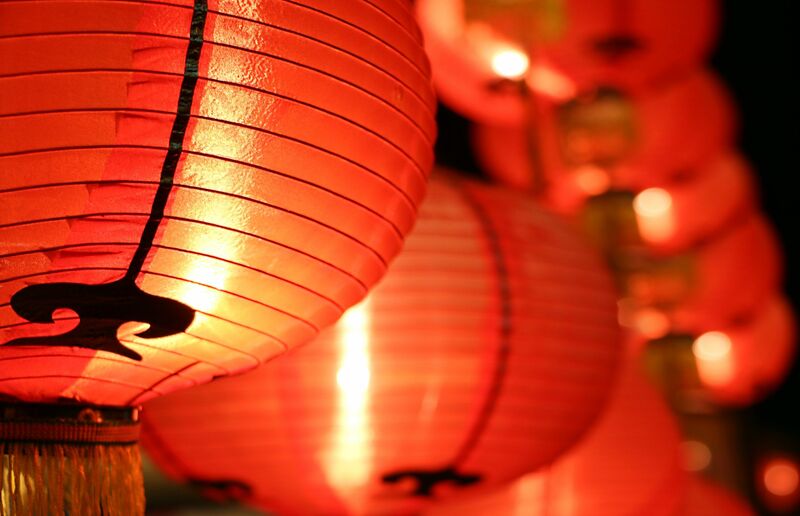 “WeChat Red Packets originates from one of Tencent’s company customs and broader Cantonese tradition that every manager in the company gives each employee a red packet with a small cash gift on the first work day after the Chinese New Year holiday,” wrote Y Combinator in a blog post last week about WeChat, written in partnership with China Tech Insights, one of Tencent’s internal research teams. 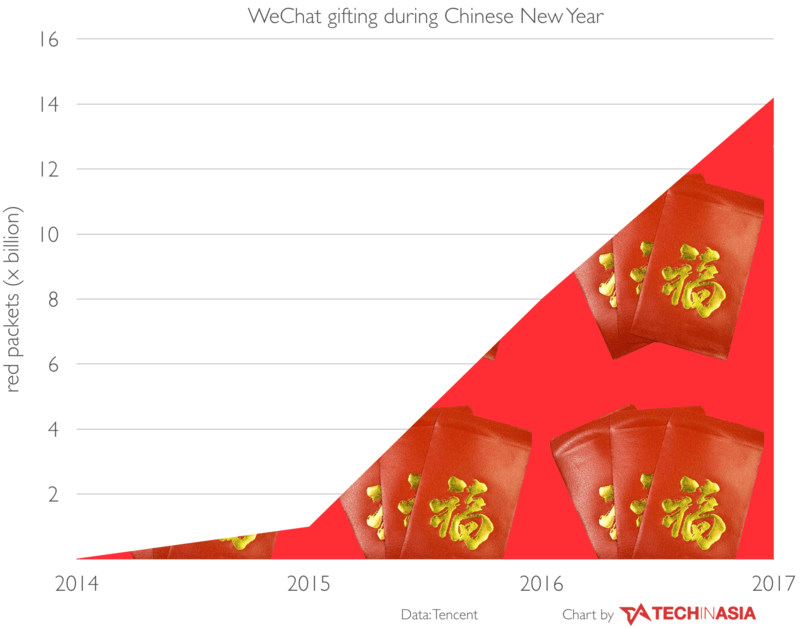 The explosive growth of WeChat red packets: 16 million in 2014 to 14.2 billion in 2017. Jack Ma called it a “Pearl Harbor Attack” on Alipay, which subsequently launched its own red packet equivalent. Now, Chinese New Year is a time of intense competition between the two companies, both of which have employed a variety of tactics to one-up each other and attract new users, like giving out free red packets and e-coupons. This year, Alipay even added augmented reality functionality to its app, inciting users to chase down red packets a la Pokemon Go. Thanks to red packets, WeChat Pay was able to kickstart its user base in a short period of time. But for Alipay, the damage was already done. Thanks to red packets, WeChat Pay was able to grow its user base in a short period of time. By the end of 2014,more than 100 million users had integrated their bank accounts with WeChat Pay and QQ Wallet, the payment system of QQ, another popular messaging system of Tencent. Today, sending red packets is still a popular use of WeChat Pay, as is transferring money to other WeChat contacts. According to Tencent’s internal data research team, Penguin Intelligence, 87.8 percent of surveyed users in January said they used WeChat Pay to send red packets, followed by peer-to-peer payments at 63 percent. 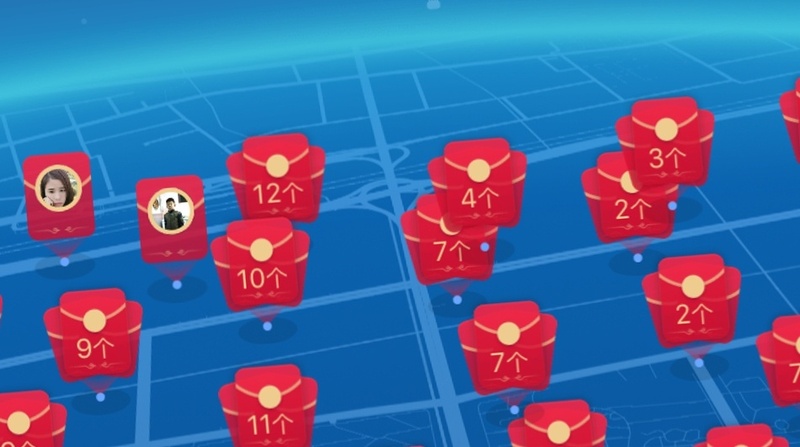 AR red packets by Alipay. Image credit: Tech in Asia. It’s important to note that neither Alipay nor WeChat Pay make money from peer-to-peer payments, including red packet exchanges between users. But for WeChat, payments between users were crucial to establishing its early user base. Unlike Alipay, WeChat doesn’t have a robust ecommerce business to fall back on for user acquisition. 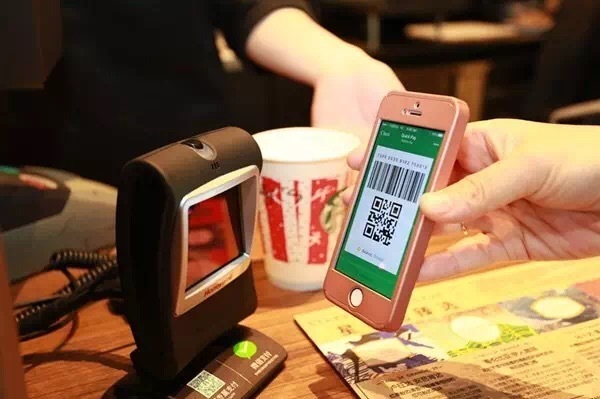 And once it convinced millions of users to sign up for its mobile wallet, WeChat Pay could now turn its attention to online services – and connecting them to users. The timing was perfect. In 2015, China’s online-to-offline (O2O) market exploded: ride-hailing, food delivery, movie-ticket purchasing. Both Tencent and Alibaba dove in as active investors. Alibaba backed delivery startup Meituan, while Tencent invested in Yelp-like Dianping – though by the end of 2015, the two startups merged into Meituan-Dianping, with both Tencent and Alibaba as stakeholders. That year, Tencent also made two investments in food delivery startup Ele.me, while Alibaba and Ant Financial jointly created and invested in Koubei, a portal for local services that’s accessible via Alipay. “That’s why Alipay’s ability to control is so strong – [Alibaba] has direct shares or is directly holding these companies,” explains Pengbo. “In reality, it means they can also control this data.” Payments are a “low level entry point,” he says, through which services can be added and data on transactions and consumer behavior can be extracted. In Dianping’s mobile app, WeChat Pay is featured as a payment option, but not Alipay. But WeChat Pay was playing the same game. Dianping, Meituan, and Didi – all portfolio companies of Tencent – are permanent fixtures in the social messaging app, linked to the mobile wallet section. In addition, in Dianping’s own mobile app, WeChat Pay is featured as a payment option, but not Alipay. Ant Financial declined to comment. Last year, Alibaba shed its stake in Meituan-Dianping, but poured US$1.25 billion into food delivery app Ele.me. It seems to have paid off – the app features Alipay first as a payment option. The takeaway is that Tencent and Alibaba might be willing to invest in the same companies, but they want control over payments – and the data generated from them. 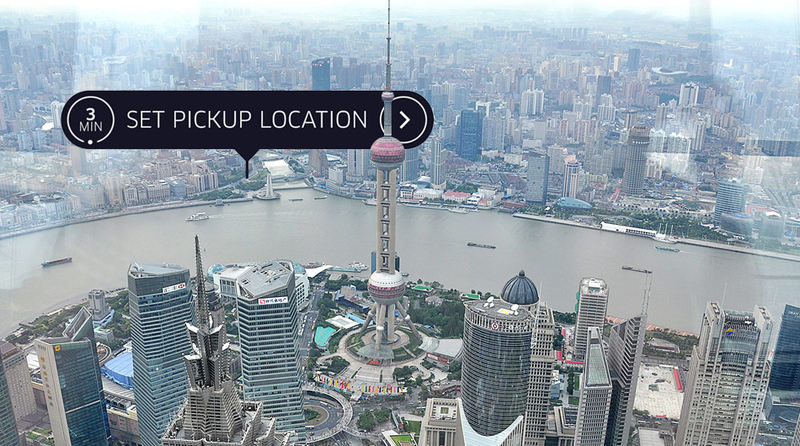 Photo montage: Tech in Asia. Today, both Alipay and WeChat have a myriad online services embedded in their apps: ride-hailing (Didi is also available inside Alipay), utility payments, phone top-up services, movie and train ticket buying, and more. They’ve become ecosystems, extending beyond their respective core businesses in ecommerce, gaming, and social, into other online services – with their payment solution as the underlying foundation. WeChat occupies 35 percent of time spent on mobile phones in China. However, it’s worth emphasizing WeChat’s social advantage over Alipay. According to a report published in March by WeChat consulting and research firm China Channel, WeChat occupies 35 percent of time spent on mobile phones in China. It’s a stickier experience than what Alipay offers, which makes its O2O service offering more compelling. 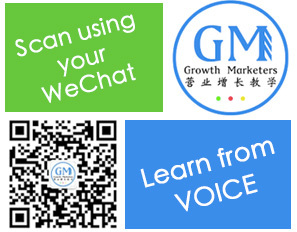 In a survey conducted last year by consulting firm McKinsey, the number of WeChat users who shopped through the messaging app was 31 percent – double the figure from 2015. As with red packets, Alipay had to play catch up. In 2015, it added a “Friends” component to its app, which let users send each other messages. Last November, it then added a feature called “Circles,” an Instagram-like feature that enabled users to share photos and messages in groups. However, it quicklycame under controversy, as users discovered that only women were allowed to post images in certain Circles, but that any user could leave tips. Lewd photos began circulating. Afterward, Alipay publicly promised to crack down on unsavory content and continue testing its Circles feature. Paying for food with a messaging app. Photo credit: McDonalds. The latest and ongoing battleground for WeChat Pay and Alipay is offline: brick-and-mortar shops, restaurants, and offline services. Unlike O2O services or companies that have a brand account inside WeChat, these businesses fall outside the app’s ecosystem. Last year, both Ant Financial and Tencent unveiled generous subsidy programs – dubbed “spring rain plan” and “meteor plan,” respectively – to incentivize third-party developers and service providers to help physical shops adopt WeChat Pay and Alipay. WeChat launched its plan last April, dedicatingUS$14.5 million in subsidies. Alipay’s “spring rain plan” announcement followed close behind in August 2016, promising US$150 million over three years. There’re still hundreds of thousands of merchants that are in the hinterlands of China. 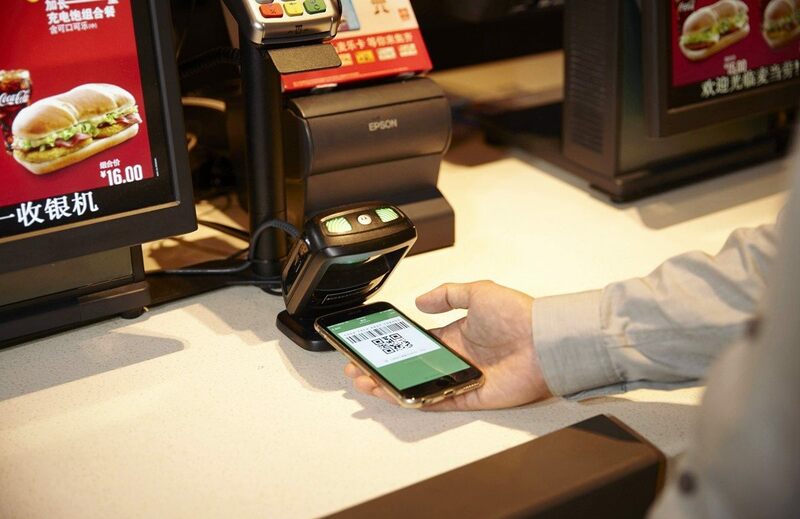 At brick-and-mortar retailers, it’s not uncommon to see both payments options, either via QR code or using a POS scanner, such as those supplied byLakala. In January, WeChat launched mini programs, embedded apps that arespecifically designed for offline and low frequency services. For instance, there’s a bus schedule mini program that tells users when the next nearby bus arrives. According to Tencent, it has seen more than 160,000 users since launching two months ago. 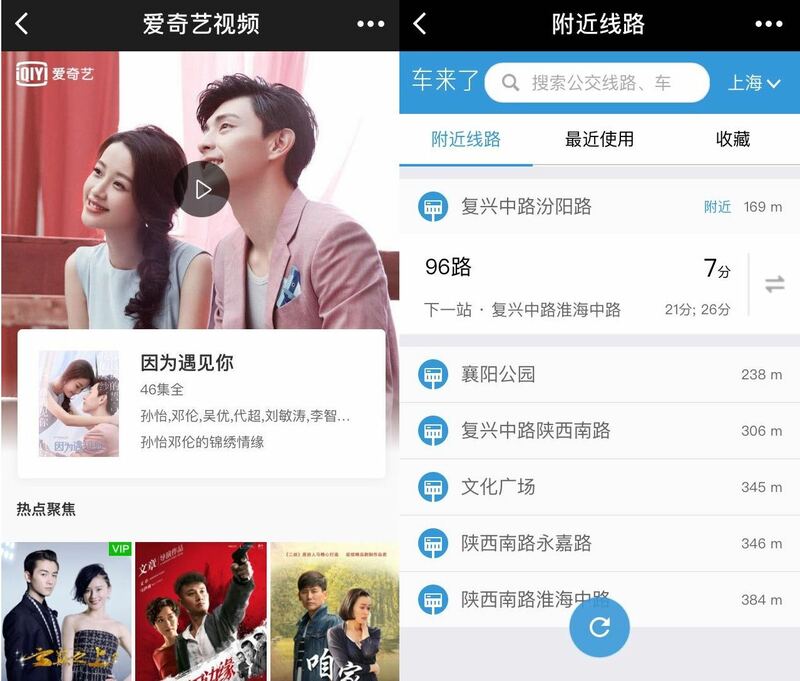 Left to right: 1) video streaming site iQiyi’s mini program lets you watch TV shows. 2) find nearby bus stops and when the next ride is. Mini programs could be a way for WeChat to tie more businesses into its ever-expanding ecosystem – which WeChat Pay could easily piggyback off of. Alipay is also developing its own mini program equivalent, according to a spokesperson at Ant Financial. However, the exact details of what the app’s mini program feature will look like and how users will experience it have not yet been disclosed. To be sure, Alipay is still the leader in China’s mobile payments market. It currently has 450 million monthly active users, according to the company. During Singles’ Day last year, China’s largest shopping holiday, Alipay saw a record of 1 billion transactions in one day. It also has its own credit system called Sesame Credit, which incorporates users’ purchasing and spending habits into calculating credit scores. “Alibaba is an entire ecosystem […] You can’t underestimate them,” says Pengbo, referring to the Chinese tech firm’s experience in servicing shops and businesses, such as those on ecommerce sites Taobao and Tmall. Alibaba also has its own cloud computing arm, Alibaba Cloud, which offers a variety of cloud services to both domestic and international clients. “If Jack Ma wants to do something, it will probably be deployed in five to 10 years,” he says, emphasizing the billionaire’s focus on playing the long game, not short-term gains. 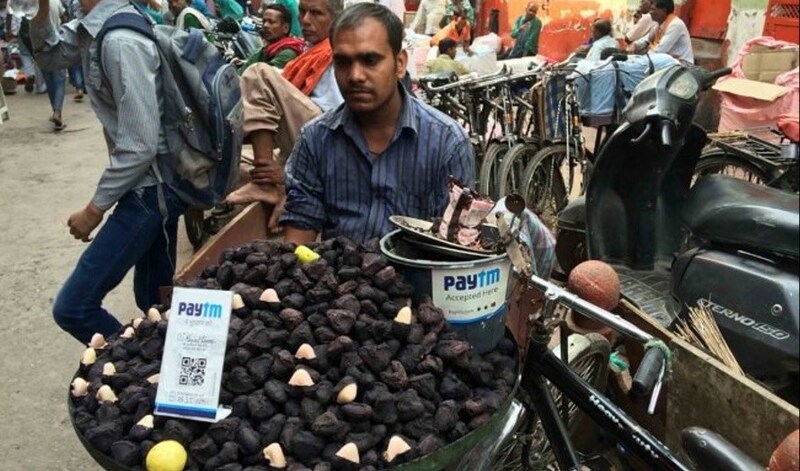 A vendor in India takes payment via Paytm. A customer can scan the QR code from their phone to initiate the transaction. Photo credit: Paytm founder, Vijay Shekhar Sharma. Going forward, overseas expansion could become increasingly competitive for the two mobile payments systems. Both Tencent and Alibaba are investing heavily in international startups, especially those in neighboring countries in Asia. Yesterday, Ant Financial announced its merge with HelloPay Group, which provides the payment solution for Lazada, Southeast Asia’s largest online shopping and selling marketplace. Last year, Alibaba purchased a US$1 billion controlling stake in the Southeast Asian ecommerce company. Ant Financial also has stakes in Paytm, an Indian payments company, andMynt, a financial services startup in the Philippines. Just a few days ago, Ant Financial also increased its bid for Moneygram, a US-based money transfer firm, to US$1.2 billion. Tencent’s forays abroad have been no less aggressive, though less payments-focused. Earlier this month, the Chinese tech firm joined eBay and Microsoft in a US$1.4 billion investment round into Indian ecommerce company Flipkart. It’s also the lead investor in Practo, an Indian healthcare startup. The Chinese tech firm is also active in Thailand, where it has a joint venture with Thailand’s largest e-book provider Ookbee. Earlier this year, the company also rebranded its wholly owned subsidiary, online web portal Sanook, into Tencent Thailand. As China’s mobile payment market continues to saturate, these nearby markets could offer new opportunities for WeChat Pay and Alipay, especially as online services in ecommerce, fintech, and digital media start to mature. For both companies, it’s another chance to be first. Payment Gateway wechat money wechat pay wechat payment gateway wechat service account.